EMR for Urgent Care Centers - What Should You Look For? Emergency rooms run at double time nearly all the time and Urgent Care Medical Practices mimic many of the situations found in hospital emergency rooms. Choosing the right electronic medical record is the difference between improving patient care and slowing things down to unacceptable levels. So, what are the things in an electronic medical record (EMR or EHR) that will keep the workflow going? Following are some tips about what features to look for in an EMR for the emergency department of a hospital or an urgent care practice. Inputting information twice is a waste of everyone’s time. A well-designed EMR has intake forms that make registration fast, connects to physicians notes, and electronically verifies patient insurance information. Some systems even track the amount of time a patient waits before a doctor sees them; this is a tool for quality assurance. The major difference between an Emergency Department (ER) and an Urgent Care medical practice is how severe are the symptoms that patients present to the health care provider. Patients visiting both ER departments and Urgent Care facilities often have simple complaints for charting with an electronic medical record. However, when trauma patients and other patients present to hospital ERs, their charting is more difficult. Some patients are unconscious, some have multiple diagnoses or other life threatening problems. So, templates for the Emergency Department must include the ability to chart these incidents calling for both ER departments and Urgent Care centers to have comprehensive clinical databases customized for the kind of care rendered. 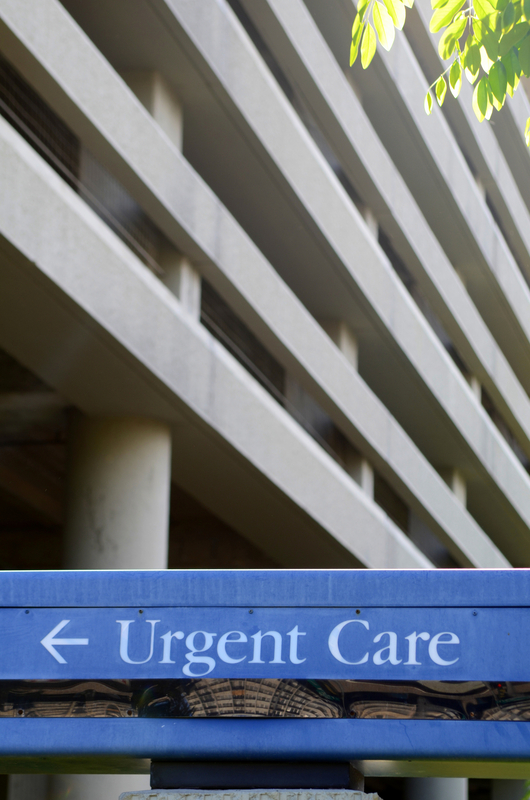 ER and Urgent Care draw on several medical specialties. Therefore, choose a EMR vendor that provides EMR for many specialties, so that it is easier to incorporate the different templates required by urgent care centers without having to create them from scratch. Minimum time expended waiting for a result is the goal of Urgent Care and emergency rooms. Accordingly, the need exists for communication of the chart and all diagnostic tools including the radiology department, the clinical laboratory, EKGs and devices such as a Holter monitor. This ensures fast reporting and capturing data for billing at the end of the visit. Automatic charge generation is a time saver – saving labor costs translates into actual dollar savings. Nearly every doctor’s office with an electronic medical record can send prescriptions directly to the patient’s pharmacy. This time saver is perfect in the Urgent Care setting and the ER. Doctors have the choice of sending the Rx to the central pharmacy or the pharmacy the patient chooses. e–Prescribing is a valuable tool not only for saving time, but also for reducing medication errors. The systems not only send a clear text copy of your prescription over secure lines, but they also warn physicians of potential drug interactions with other medications on the patient’s medication list or of drug allergies. The system must cross over ICD – 9 coding to ICD-10 coding. Without this feature, your billing will be a mess by the October 1, 2014 mandate to use ICD-10 coding. This helps physicians learn and helps train billing staff for this fall deadline. Be sure to choose a system that is the right size for your needs. Often, EMR software allows for scaling, but be sure that the system meets your needs now and allows for future growth. Software as a Service or Stand-alone? Software as a Service (SaaS), often called cloud computing is the least expensive way to implement and upgrade your software. You rent the software based upon the number of users or providers (depending upon the vendor). This rental cost is current, unlike depreciation. There is also no need for investing in expensive servers, as your data is secure in the cloud with HIPAA compliant security. Additionally, any computer or device that can connect to the Internet is good for your electronic medical record. Physicians especially like this as they can use their iPads or smart phones as input devices. Today, when costs, convenience and scalability are what matters, stand alone systems are less desirable than SaaS. RevenueXL is a premier provider of electronic medical record solutions. We serve a generous number of specialties. Our SaaS service allows for rapid implementation, low first cost, and affordable subscription fees. We make your practice more efficient and improve your revenues. We will gladly give you a free demonstration.